One of the great things about being a photojournalist in DC is that you get to cover the full range of the political spectrum. 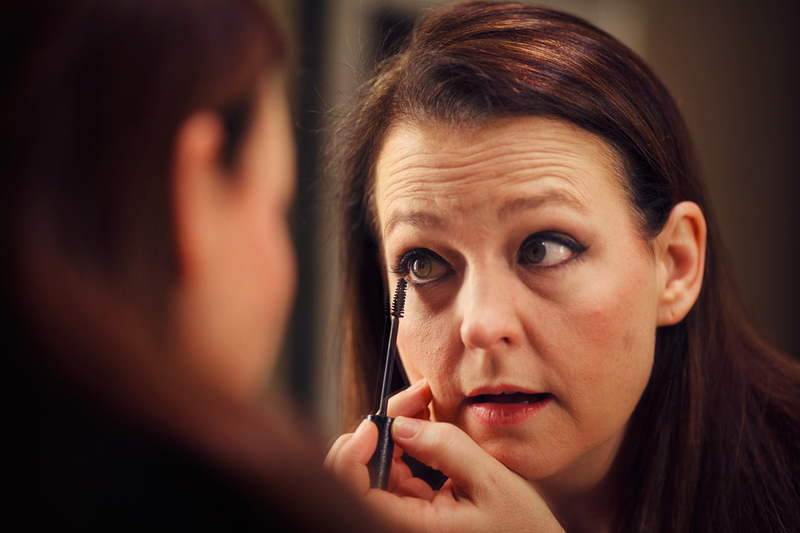 When the Wall Street Journal asked me to spend a day with Tea Party Patriots co-founder Jenny Beth Martin, I leapt at the opportunity. 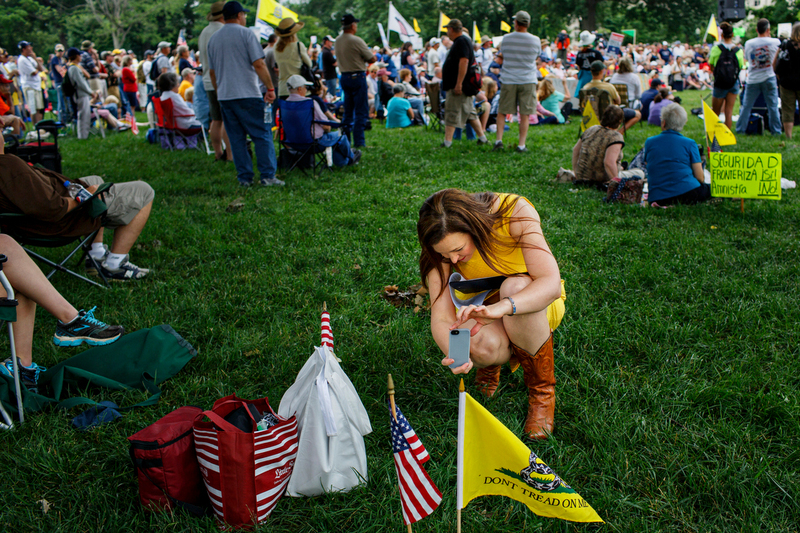 Somehow in the years that the Tea Party had been active I hadn’t covered it at all. With this assignment, I’d be going into the heart of one of its demonstrations with one of its own coordinators. 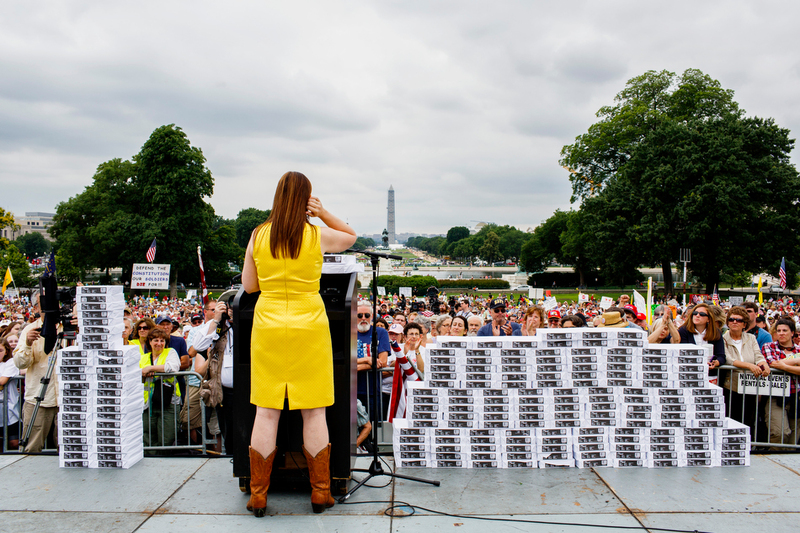 Ms. Martin’s Audit the IRS Rally in front of the Capitol building featured many of the all-stars of the Tea Party like Glenn Beck and Rand Paul. Read the Journal’s profile piece here. We started in her hotel room early in the morning. From the article: “At the behest of a wealthy donor, Mrs. Martin undertook a personal makeover, losing 70 pounds, changing her hairstyle and overhauling her wardrobe.” It never ceases to not astound me the things women are expected to do, especially when thrust into the national spotlight. Half-ready for the day, Jenny Beth gives a radio interview from her hotel bed. I always try to find common ground with my subjects, and Jenny Beth and I had quite a bit. We both attended the University of Georgia and we both wear cowboy boots to work in DC. Her husband Lee, seen in this photo, joined Jenny Beth for this trip. 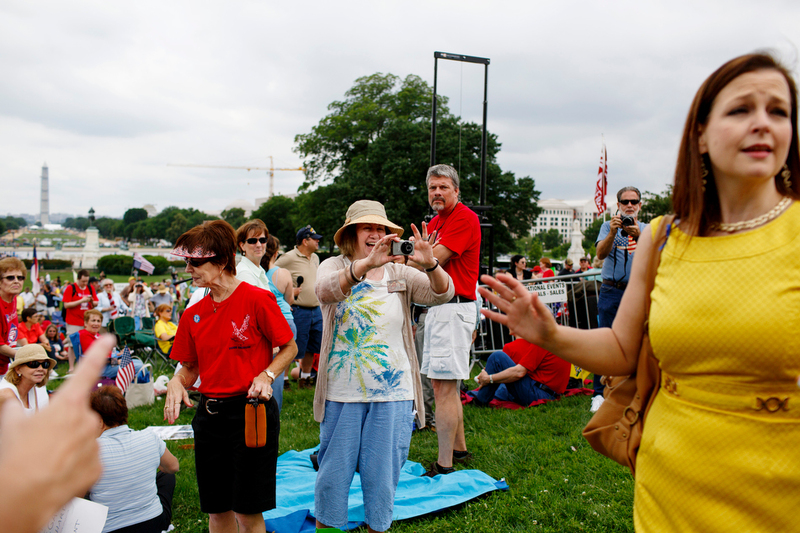 Jenny Beth gives directions to a group of Tea Party protesters searching for a tangential demonstration against immigration reform held on the other side of the Capitol from her own rally. 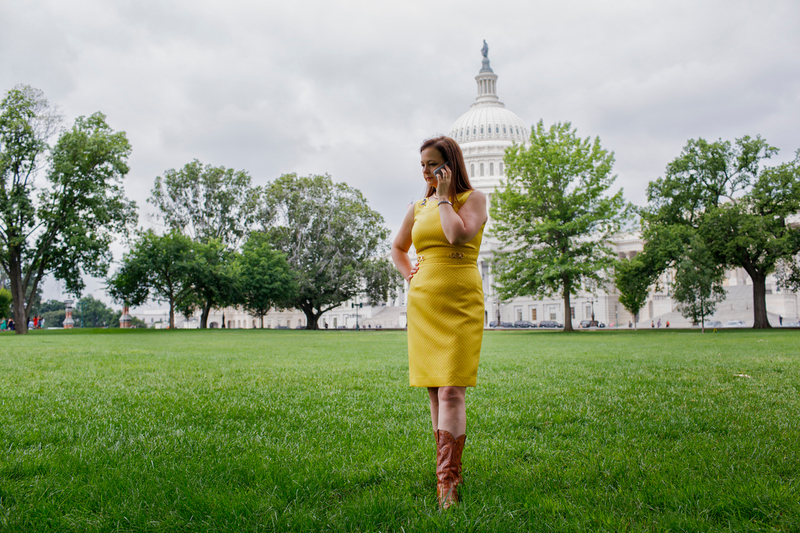 Jenny Beth wandered off onto one of the Capitol building’s lawns in search of a quiet place to give another interview over the phone. 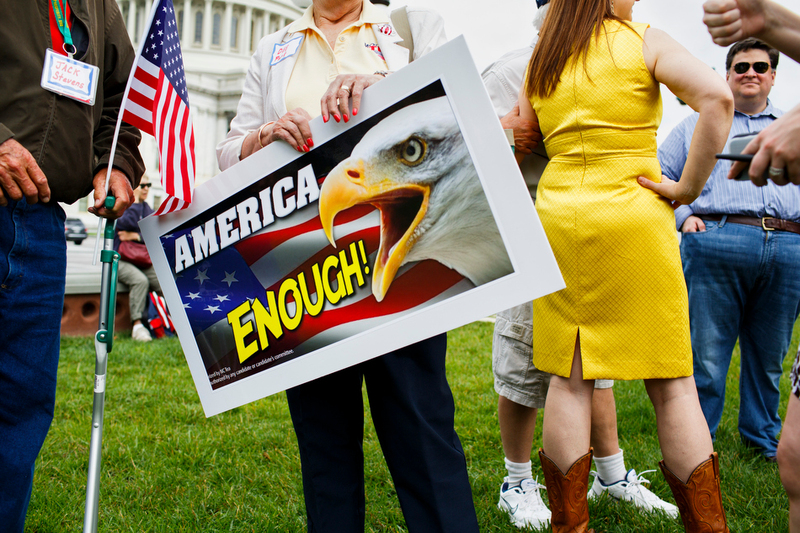 From the immigration rally. 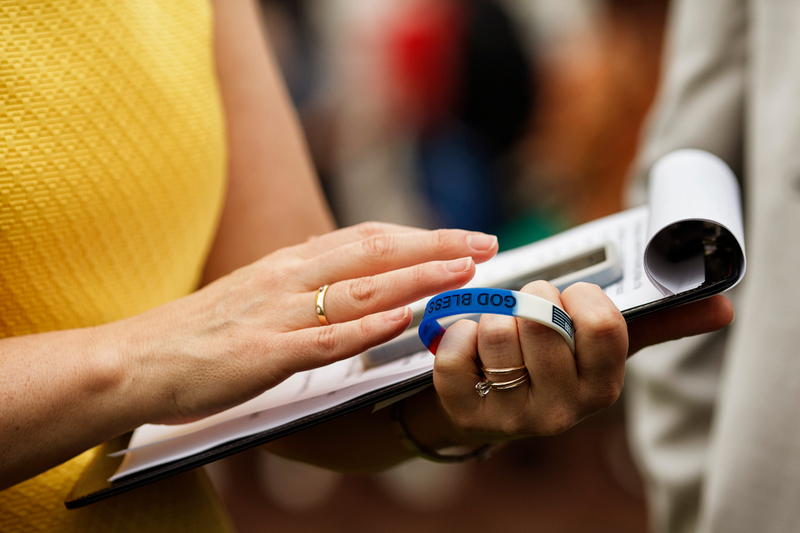 Jenny Beth holds a bracelet given to her by a supporter while checking her phone and clipboard in the lead up to her rally. Protesters gather around her as she speaks with her entourage. Her fans clamored to have their photo taken with her and offer their thoughts as well as words of support. 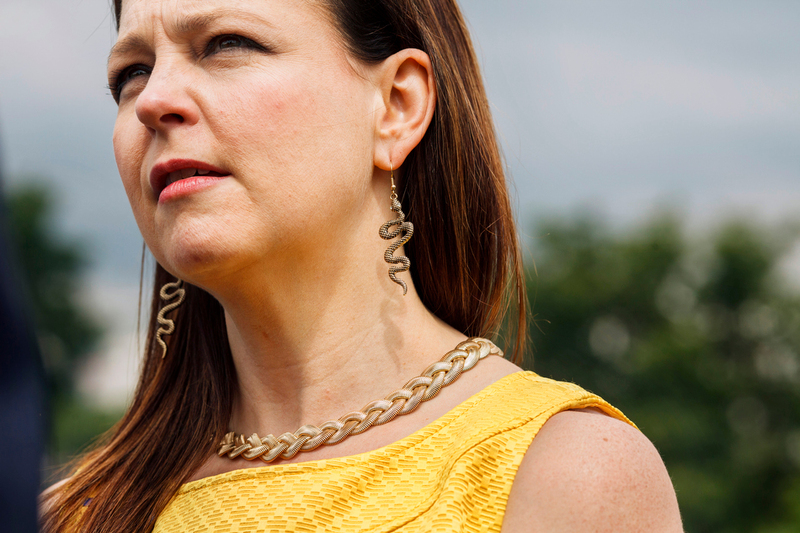 Notice the yellow dress and snake earrings? 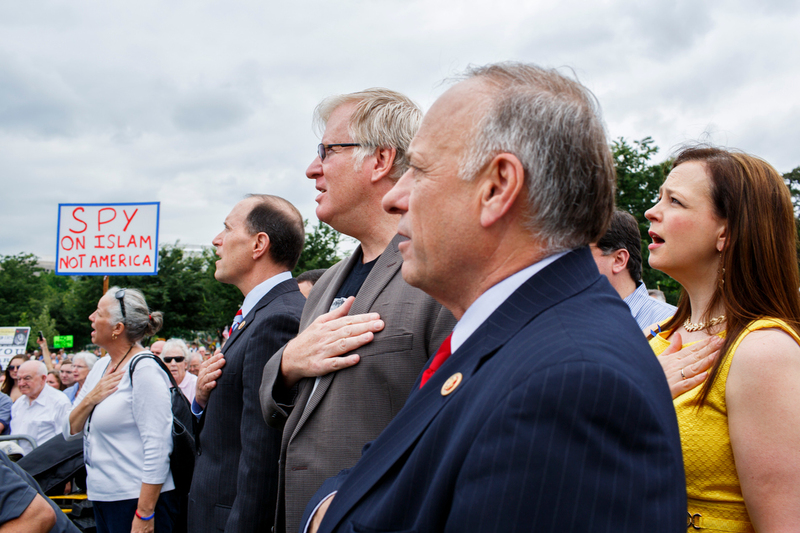 Here she is singing the National Anthem while standing off-stage with Reps. Steve King of Iowa and Dave Camp of Michigan at her rally. That one protester’s sign is something else, ain’t it? 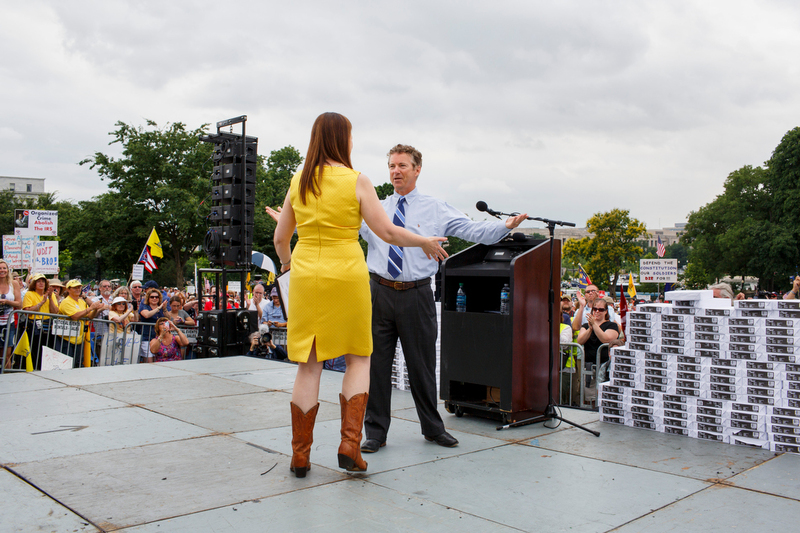 She goes in for a hug with Rand Paul on stage. 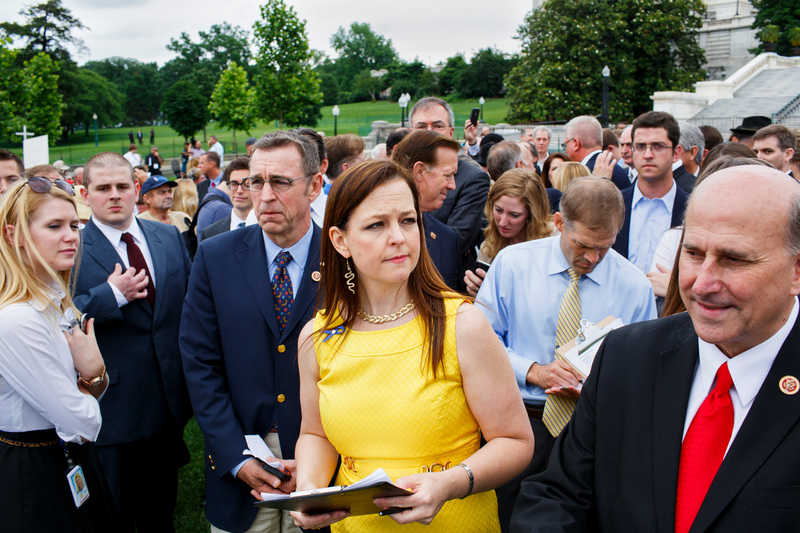 The off-stage area was swarming with uninvited politicians hoping to get in front of the crowds. She had a tight schedule and turned many of them away. 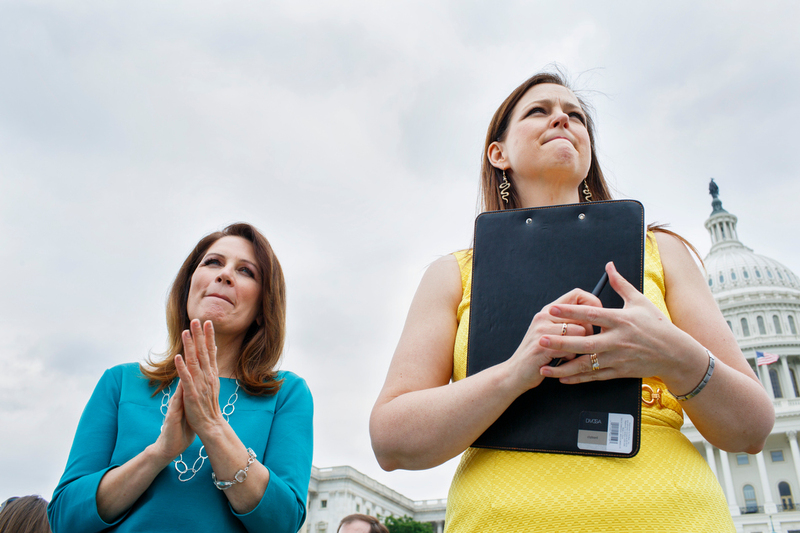 With Michele Bachmann. Addressing the crowd. 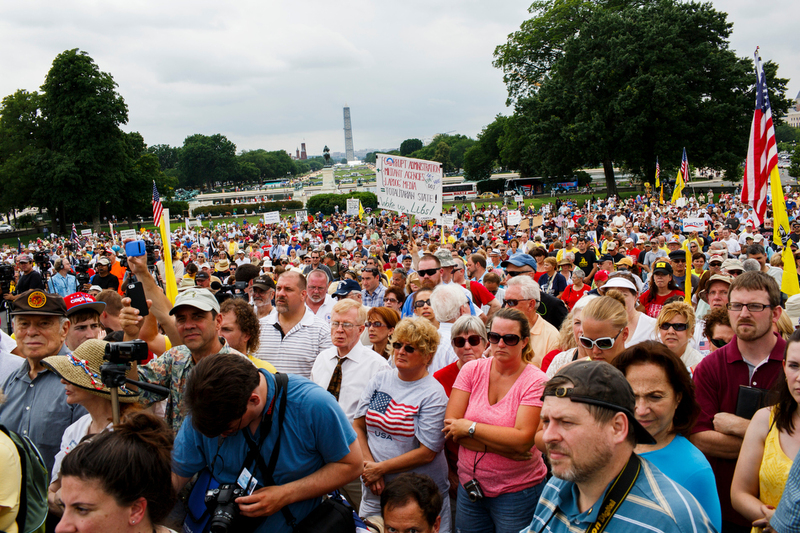 And here are the indignant Americans who have gathered to express their displeasure with the IRS. Posted on 10/17/2013 by Melissa Golden. This entry was posted in On Assignment, Politics, Reportage, Wall Street Journal and tagged capitol hill, DC, Jenny Beth Martin, On Assignment, Politics, Tea Party, WSJ. Bookmark the permalink.